Taboo is an African Wood Owl (Strix woodfordii) male. Taboo is arguably the cutest of our flying crew and is a hit with the younger ones! 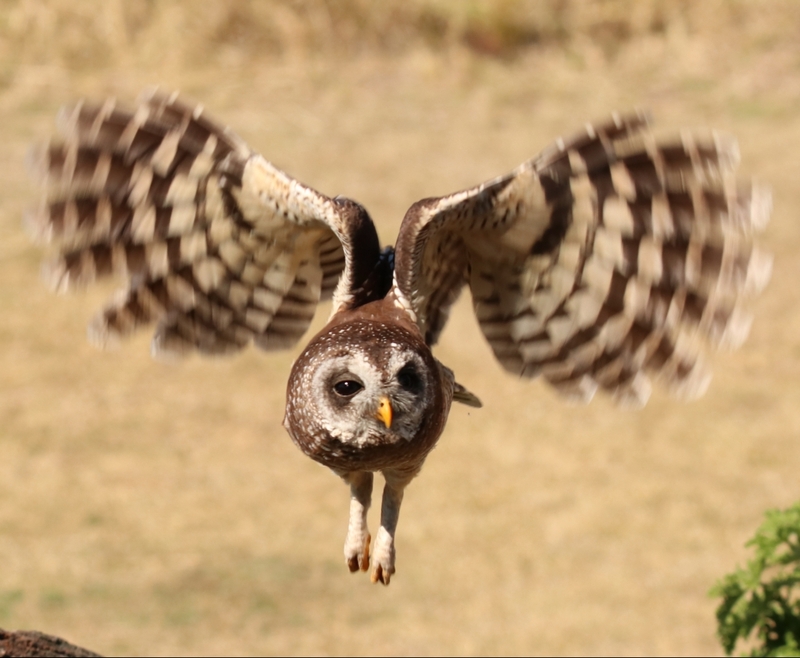 Generally speaking African Wood owls will feed on insects such as grasshoppers, crickets, cicadas, moths, caterpillars, and beetles, but will also take frogs, reptiles, small birds, small rodents and shrews. Taboo is a master hunter and has snagged himself weavers, toads, and moles from inside his enclosure.